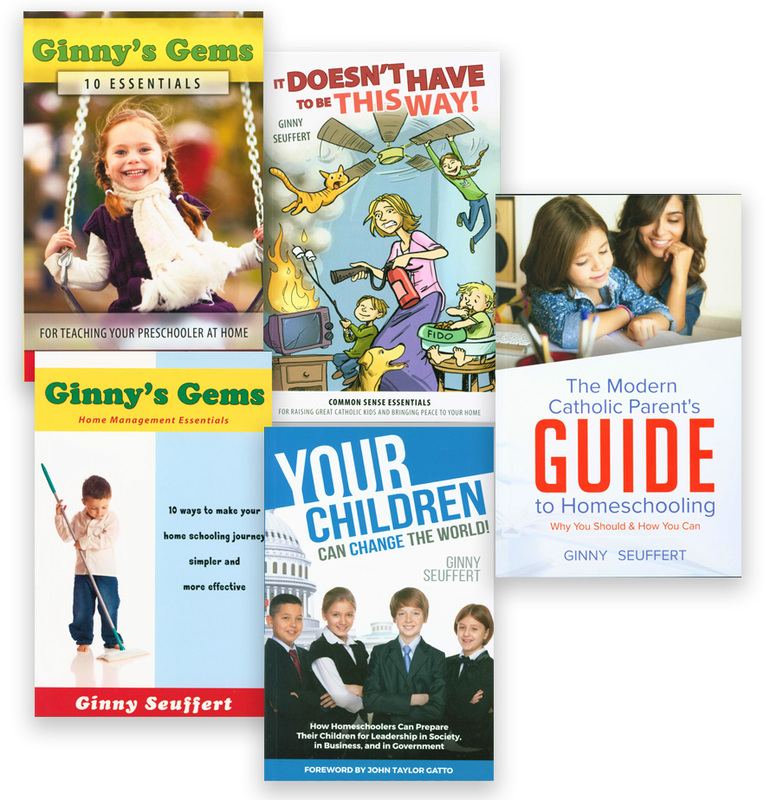 Ginny's Books are based on her experience as a wife, mother, and grandmother, and her more than twenty years of experience as a Catholic homeschooling mother. Ginny affirms with humor and good sense that homeschool children have teachers who love them more than anything in the world. After all, what could be better than to learn life skills at Mom's knees! Now includes Ginny's newest book - The Modern Catholic Parents Guide to Homeschooling.